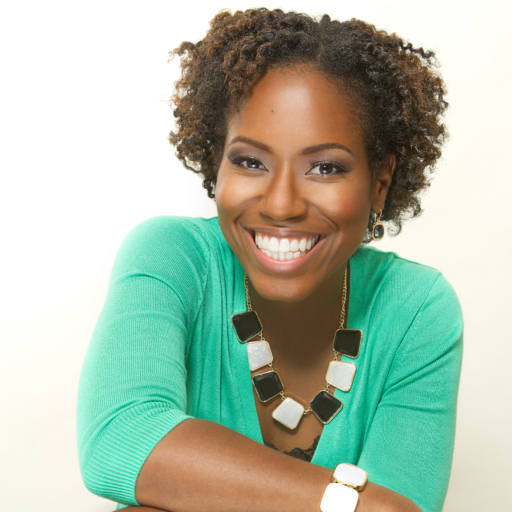 Dr. Asha Fields Brewer is a Creator of Healthy Conversations. Known as an inspirational speaker, writer, educator, and entrepreneur, she is the author of Eat, Drink, Do: 3 Basic Principles for Health by the Bible. With a background in women’s empowerment, wellness, and college success, she has inspired audiences across the nation to live life abundantly! “Dr. Asha” earned a Bachelor of Science degree in Exercise Science from Florida State University (Tallahassee, FL). A woman of Delta Sigma Theta Sorority, Inc., her contributions during college were honored with accolades, such as Homecoming Queen, Senior Hall of Fame, Greek Woman of the Year, and the academic honors medallion. Dr. Asha’s journey continued at Parker University (Dallas, TX), where she earned a Doctor of Chiropractic degree. Because learning is forever, she also holds a Graduate Certificate in Event Management from FSU, and additional training/certifications in public speaking, healthy lifestyle coaching, academic advising, and college life coaching. After graduation, Dr. Asha helped establish a chiropractic clinic at FSU. She also served in administrative roles in student affairs and academic affairs, working closely with college students to create strategic pathways towards success. She contributed to the Campus Recreation Board, Healthy Campus 2020 campaign, LeaderShape, and the Center for Academic Retention and Enhancement. For her dedicated work, she was nominated for the Martin Luther King, Jr. Distinguished Service Award, and she was named Advisor of the Year. A dynamic motivator, Dr. Asha is frequently asked to write and speak on topics of faith, wellness, college success, and women’s empowerment. Her portfolio is extensive with features in print, television, radio and keynote engagements. She is also a self-care expert with The Temple Fit Company—a business + wellness company that equips you to win at life through wellness. She is the Founding Director of Temple Fit Health, a nonprofit dedicated to making healthier churches and healthier communities. And she manages AB Creations, home to “Dr. Asha,” where ambitious women come together and learn to live life abundantly. Dr. Asha enjoys travelling for engagements and conferences. However, when she is home in Tallahassee, FL, she enjoys volunteering with her church and her Sorority, hanging out with her mentees, and challenging friends and family in a game of Taboo. :).